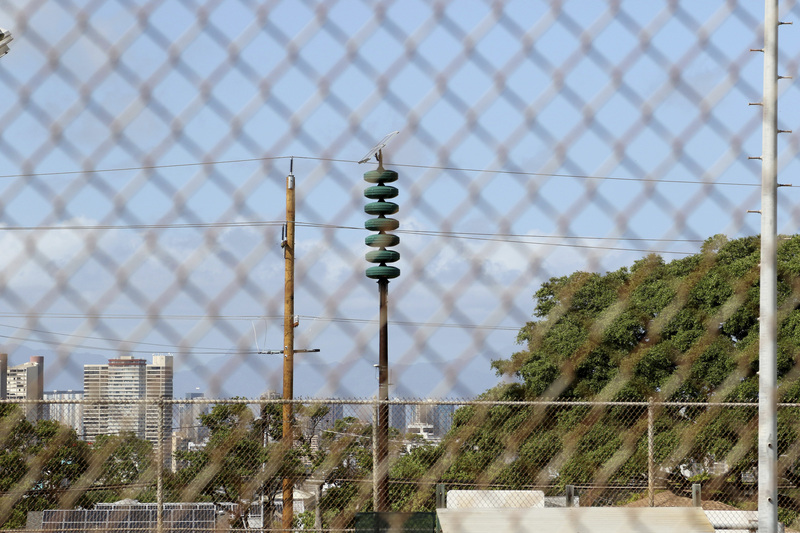 The monthly test of Hawaii’s siren warning system for tsunamis and other natural disasters will have a new tone when it sounds Friday — one designed to alert residents of an impending nuclear attack. “We believe that it is imperative that we be prepared for every disaster, and in today’s world, that includes a nuclear attack,” Hawaii Gov. David Ige said, adding that the possibility is remote. “There needs to be different action taken should there be a nuclear attack than what is expected for a hurricane or tsunami,” the governor said this week. The attack warning will produce a different tone than the long, steady siren for tsunamis and other events that people in Hawaii have grown accustomed to. It will include a wailing sound in the middle to distinguish it from the other alert. “The public can handle it. They’re not going to panic,” Miyagi said. The test comes the same week that North Korea fired a powerful nuclear-capable intercontinental ballistic missile it calls the Hwasong-15, leading analysts to conclude the nation has made a jump in its missile capability. The weapon would have a range of more than 8,100 miles (13,000 kilometers), easily reaching the U.S. mainland. Hawaii is the closest state to North Korea, and its large military presence could make it more of a target. The island of Oahu is home to the U.S. Pacific Command, the military’s headquarters for the Asia-Pacific region. It also hosts dozens of Navy ships at Pearl Harbor and is a key base for the Air Force, Army and Marine Corps. Miyagi has previously said a nuclear strike on Hawaii would result in thousands of deaths, thermal radiation, severe damage to critical infrastructure, widespread fires and other chaos. Hawaii lawmakers have been urging emergency management officials to update Cold War-era plans for coping with a nuclear attack. “I think it’s responsible to do this,” Honolulu Mayor Kirk Caldwell said of the tests, though adding the chances of an attack are slim. The tests will continue on the first day of every month. If the siren sounds because an attack is imminent, residents and tourists should get inside and stay tuned for further instructions, officials said. Hawaii no longer has any nuclear shelters. When the Cold War ended, funding for maintaining them ran out as the threat of attack ended, emergency officials said. Lorraine Godoy, 75, who was born and raised on the Big Island, said she vividly remembers the air raid sirens that used to blast during the Cold War. She said the upcoming tests will bring back memories from her childhood, when she had a curfew and the sirens blared often. “Its implementation is consistent with the state’s longstanding policy to be prepared and informing the public well in advance of any potential threat to Hawaii’s well-being,” George Szigeti, president and CEO of the Hawaii Tourism Authority, said in a statement. Some residents and visitors expressed confusion. Tourist Bruce Jelsema of Grand Rapids, Michigan, also didn’t know what to do. “Not living in Hawaii, I’m not familiar with the different sounds of the test so I would probably be confused as to how to respond,” he said. Tags: Hawaii, North Korea, nuclear testing. Bookmark the permalink.